Check out Tobi's Flower Fields Charmed Hoop Earrings Pass the floral hoops, please. Wear the Flower Fields Gold Charmed Hoop Earrings to switch up your hoop game. 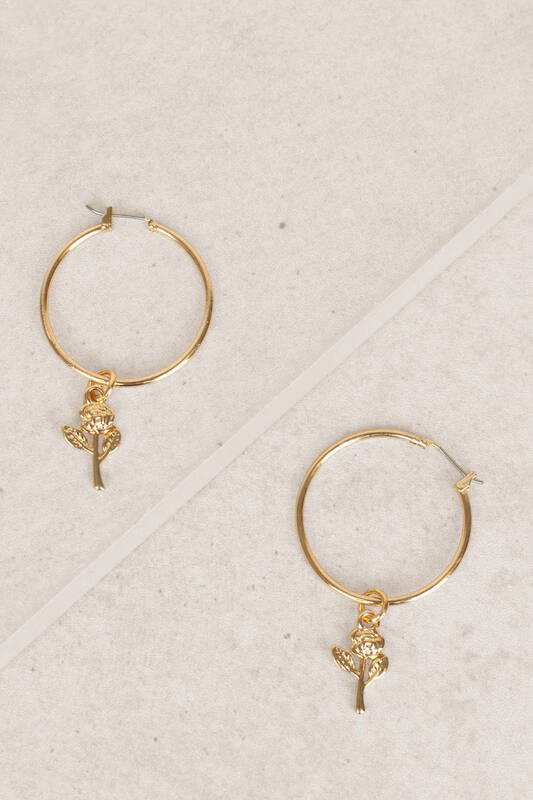 These oversized gold hoop earrings feature a classic hoop shape with a dangling floral charm. Pair these floral hoops with all your minimalist jewelry. Pass the floral hoops, please. Wear the Flower Fields Gold Charmed Hoop Earrings to switch up your hoop game. 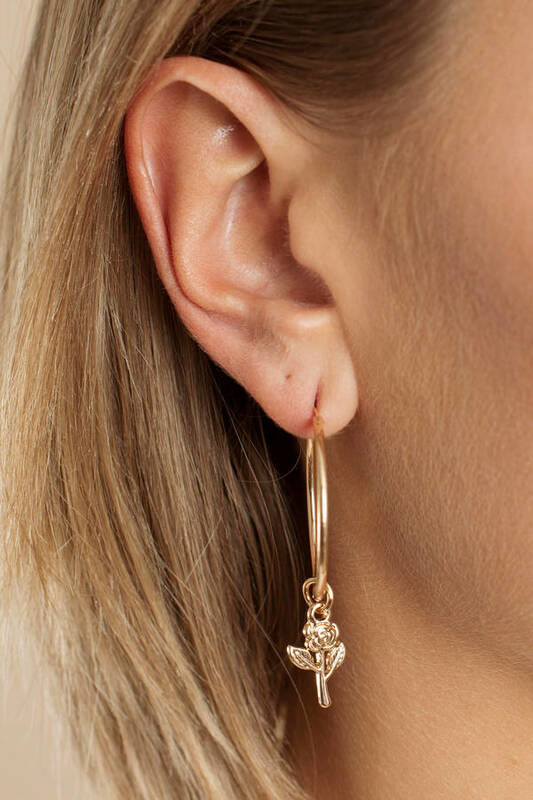 These oversized gold hoop earrings feature a classic hoop shape with a dangling floral charm. Pair these floral hoops with all your minimalist jewelry.